Most pregnant women do not think about breast cancer, yet one in about 3,000 women will be diagnosed during a pregnancy – and about 1 in 1,000 pregnancies are complicated by a breast cancer diagnosis. There are concerns that the incidence of pregnancy-associated breast cancer is increasing, possibly due to the increasing age of first-time moms to over 30 years old. In most cases, the reasons for a diagnosis are unlikely related to the pregnancy. Breast cancers are harder to find in pregnant women. Sometimes the symptoms are overlooked and attributed to the pregnancy. In addition, breasts are enlarged during pregnancy making a mass difficult to detect. Mammograms are not typically performed in pregnant women due to potential radiation to the fetus. They are also not as effective due to the increased tissue density of the breast during pregnancy. While clinical data on pregnancy and breast cancer is limited, some studies have reported that breast cancers during pregnancy are more likely to be larger and more advanced. Despite this, prognoses for pregnant women are similar to non-pregnant women. Treatment however, is more complicated. “Treatment considerations during pregnancy must take into account not only the best way to treat the woman with her cancer, but also the potential risks of treatment to the fetus,” explained BCRF investigator Dr. Ann Partridge, Professor of Medicine, Harvard Medical School and Director of the Adult Survivorship Program, Dana Farber/ Brigham and Women’s Cancer Center (Boston). Just like in patients who are not pregnant, treatment decisions are based on stage of disease (extent of the disease in the breast, lymph node status, and whether it has spread to other organs), and type of breast cancer which helps doctors determine the best treatment. In pregnant women, however, timing of treatment is critical and specifically, the trimester of the fetus at diagnosis. While treating breast cancer during pregnancy creates new challenges for mother and oncologist, several treatment options exist once the pregnancy has advanced to second and third trimester. Fetal ultrasound is used to monitor fetal growth and health throughout treatment and is a safe for monitoring the mother’s response to treatment. For early stage breast cancer, surgery is generally safe to remove the tumor in pregnant women during any trimester. Radiation is avoided during pregnancy as it can potentially harm the fetus, so some pregnant women are better off having a mastectomy to avoid radiation during pregnancy. However, if a woman is later in her pregnancy at diagnosis, or she needs chemotherapy which can be given during later pregnancy, breast preservation may be possible if radiation can be put off until after delivery. Certain standard breast cancer chemotherapies are safe in the second or third trimester of pregnancy, but generally not the first trimester. Hormone treatment and targeted therapies such as Herceptin and the newer class of drugs called CDK4/6 inhibitors (Ibrance, Verzenio, Kisquali) are not considered safe during pregnancy at all as they may harm the fetus. Thus, for a woman who may benefit from these treatments, compromises may need to be made regarding optimal timing of treatment. All chemotherapy is generally held at least three weeks prior to delivery to prevent complications around delivery to either the mother or fetus. Except in rare cases, for instance if a woman is diagnosed with advanced breast cancer early in her pregnancy, ending the pregnancy is not generally recommended in order for a woman to get better treatment as it has not shown to improve the breast cancer outcome for the mother. What should a pregnant woman diagnosed with breast cancer know? Treatment options: Be sure to discuss your treatment options and priorities with your oncologist, gynecologist and partner. Get a second opinion if you think it would be helpful as some centers have more experience with managing pregnant breast cancer patients than others. Can I breastfeed after treatment? Once therapy is completed, it is safe to breastfeed, but consult your care team if breast cancer surgery or treatment is planned after birth. Future pregnancies. Some chemotherapy and hormonal therapies can cause premature menopause. 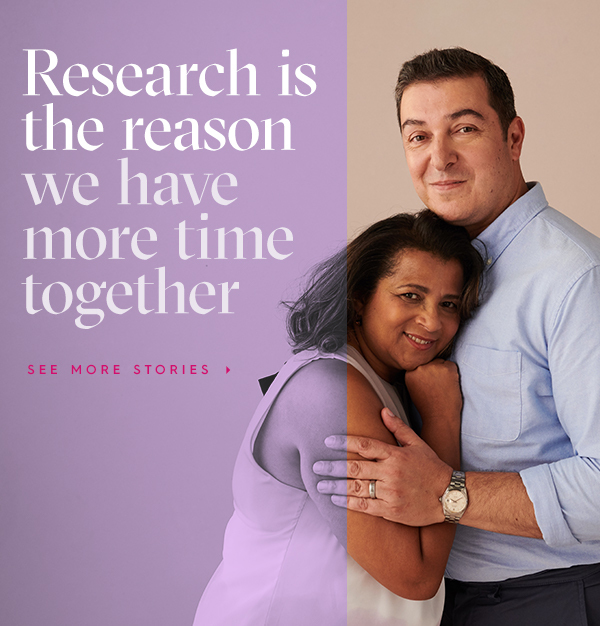 Discuss your fertility concerns and plans for future pregnancies with your oncologist before treatment begins and options for putting eggs to sleep with medicine or freezing (cryopreservation) eggs or embryos to preserve fertility for the future. Also, depending on your disease, delays of two-five years before your next pregnancy may be recommended.